On the 18th March the President of the Gozo Business Chamber (GBC), Mr Joseph Borg, participated in a debate about the Gozo-Malta tunnel organised by Wirt Għawdex. The GBC participated together with other speakers and other stakeholder organisation representatives to present its opinion. In his intervention Mr Joseph Borg thanked Wirt Għawdex for the invitation and for their initiative to hold this debate. He highlighted that the subject of the Gozo-Malta Subsea Tunnel, has been promoted by the Chamber for the last ten years but that the Chamber had already started mentioning a permanent link between the islands of Gozo and Malta more than twenty years ago, the same time the GBC was founded. One of the first public meetings was held in February 2011, eight years ago, and in March 2011 in the publication of the GBC, Isle Link the GBC stated that, “the question of a permanent link, has now gathered irreversibile momentum. Since January of the present year (i.e. 2011), when the debate was brought up to the forefront on the national media, what had always been a dream in the mind of a number of people, has become a possibility within the grasp of a people”. Mr Joseph Borg highlighted how when this idea was put forward in 2011 and Eivind Grov, Chief Scientist and Professor at the Norwegian University of Science and Technology was appointed as consultant to the Maltese Government, there was general consensus of the Gozitan constituted bodies who all backed the political responsibility assumed by the Government to study the matter further. Mr Joseph Borg remarked how the GBC was instrumental in pushing forward the subsea tunnel on the policy agenda. 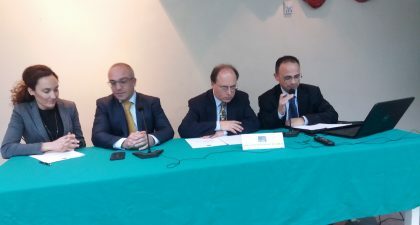 In February 2015 the Chamber took the initiative to commission Dr Gordon Cordina to conduct a study on the economic and financial feasibility of alternative solutions towards providing connectivity between the Island of Gozo and the main Island of Malta. Transport Malta in a short time came on board and in September 2015 the report was published. The economic analysis presented in the report took into consideration the following factors: (i) effects on traffic flows on economic activity in Gozo; (ii) effects on vehicle traffic and waiting times; (iii) implications for the costs of fuel used; and (iv) climate change and pollution effects. The proposal had also been on the electoral programme of both parties for consecutive legislatures. Mr Joseph Borg highlighted how debates and studies on this initiative have been ongoing. 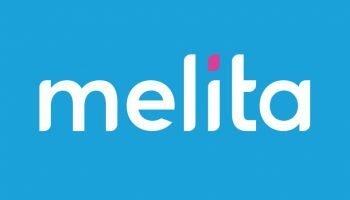 Though the Gozo Channel Company is performing to the best of its capabilities the service has reached saturation point and a complete meltdown of the service is being risked. Mr Borg highlighted how the Chamber is in favour of introducing a fourth ferry, the fast ferry and also the helicopter service, and that these options should materialize sooner rather than later. However, we cannot just stay throwing proposals into discussion. Mr Borg highlighted the current plight of various segments of society including that of Gozitan commuters, patients, students and tourists over the current state of affairs. He remarked how this project would benefit not only Gozo but also Malta, as services would not always need to be duplicated but Gozo would also be able to specialise on particular services forming part of a national network serving the entire Maltese population. He also indicated how this project would ease traffic from roads and would help address the problem of ageing and dwindling communities that Gozo is experiencing. 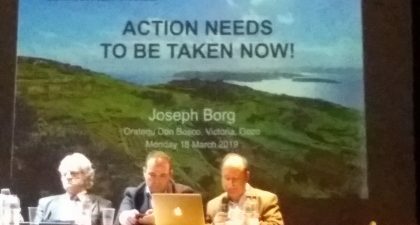 Mr Borg remarked that while the tunnel is not the solution to all the problems it can be a road to a future of sustainable investment which the Chamber would be willing to suggest to the Authorities, while in no way harming the environment if the proper plans are in place. However, it is now time to act as further delays will risk putting the future of Gozo and its population at risk. 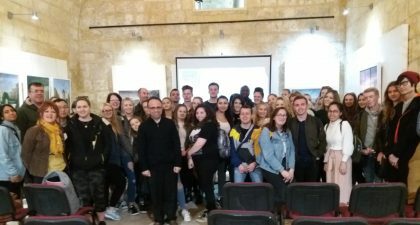 On Friday 15th March the CEO of the Gozo Business Chamber Mr Daniel Borg delivered a presentation on Gozo’s socio-economic scenario to a group of 43 students and 4 lecturers from Bournemouth University. The presentation was held at the Citadel Cultural Centre at the Sentinella. Students and lecturers had the opportunity to ask questions on various topics and issues relating to Gozo. 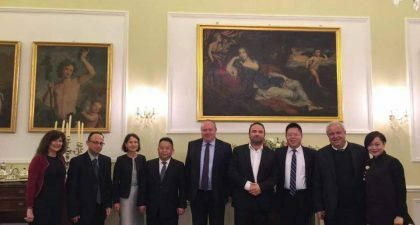 On Friday 8th March representatives from the Gozo Business Chamber and the Gozitan business community participated in a Trade and Investment Forum on the occasion of the visit to Malta by a Senior Trade and Investment Delegation from the People’s Republic of China. This was organised by the President of Malta H.E. Marie-Louise Coleiro Preca. 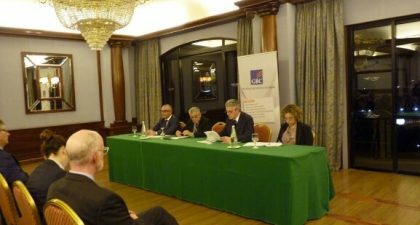 On the 28 February 2019 the Gozo Business Chamber organised its Annual General Meeting at the Tiġrija Palazz Victoria (Gozo). Following the meeting there was also a presentation on the subsea tunnel between Malta and Gozo, delivered by Dr Franco Mercieca. 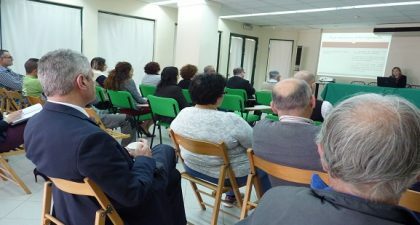 The presentation was open to the entire Gozitan business community. Inġ Fredrick Azzopardi, Chief Executive Officer of Infrastructure Malta, also replied to questions by those present. Minister for Gozo, Dr Justyne Caruana was also present and addressed the meeting. The Gozo Business Chamber is one of eleven Partners taking part in a project funded from Erasmus+ called The Building up green Skills for Trainers from the Construction Industry. The project envisages to produce on-line traning for the Trainers of the Construction Industry in Green Skills. This Partners meeting is being held in Valletta between the 7 and 9 November 2018 following similar meeetings in Madrid, Lisbon, Greece and Rome. or beyond. 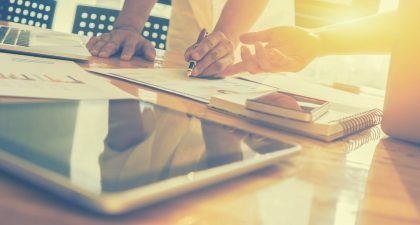 Whether you have been actively planning for succession in your business.or you are just starting to consider passing it to the next generation, the decision may be overwhelming. 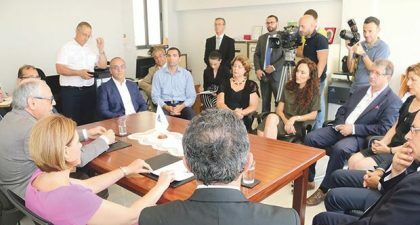 Gozo Minister Justyne Caruana and Finance Minister Edward Scicluna launched a scheme of refund for employment in Gozo at the new offices of the Gozo Business Chamber in Victoria. The setting up of the Malta Development Bank could play a key role in leveraging EU funds for Malta. The blending of Malta government guarantees via the Malta Development Banks together with EU guarantees could facilitate private investment in long term strategic investments and SMEs. This event will present the latest developments from an EU Commission and Malta Development Bank perspective together with practical experiences in leveraging EU funding by the Hungarian Development Bank and Bank of Valletta. The Gozo Business Chamber in collaboration with the Ministry for the Economy, Investment and Small Business and Malta Enterprise is holding an Information Session to : Identify main obstacles for a successful transfer. Identify the reasons for failed business transfers. Identify which businesses are most vulnerable to transfer failure. 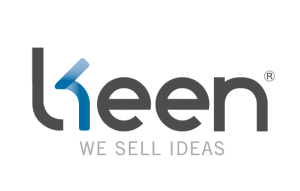 Propose business support and policy solutions.